For today’s Pay-it-Forward-Friday, we’re doing our biggest giveaway EVER and we couldn’t be more excited about it. 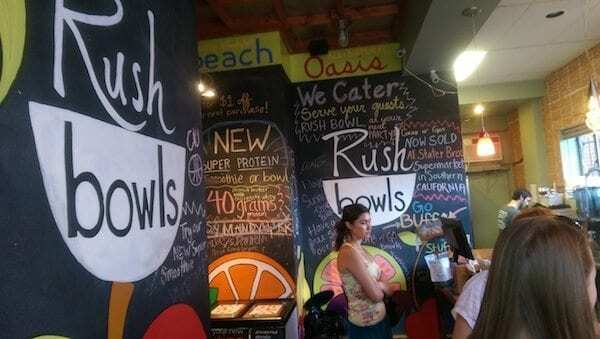 Rush Bowls, the company responsible for the legendary portable meals, is prepared to give away TWENTY RUSH BOWLS. –There with Care, which helps families cope with cancer. 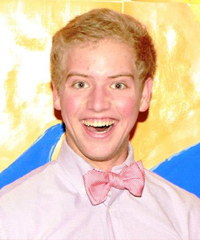 –Make-a-Wish Foundation, which fulfills dreams for children with terminal illnesses. –The Buffalo Classic, which gives scholarships to CU students. Pudalov, following through with this philosophy, is now giving away twenty Rush Bowls with About Boulder. I’m sure you’re all wondering, though- how does one acquire one of these free Rush Bowls? 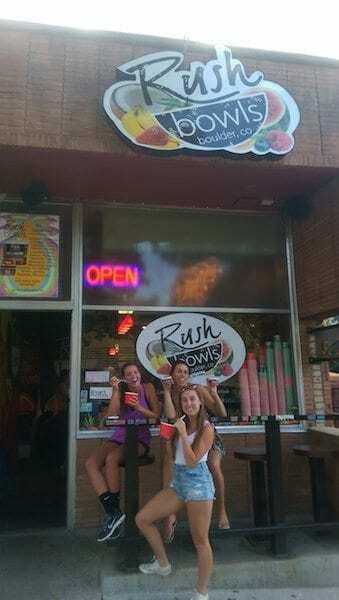 All you need to do is take a picture with a rush bowl. That’s it! It can be a picture of whatever you want- a selfie, a picture of a Rush Bowls restaurant, or even a picture of the flatirons. The only requirement is that it MUST have a Rush Bowl in it. Then, send it in to sam@aboutboulder.com. Luckily for you, Rush Bowls are actually on sale right now. Their store off Pearl Street is doing a deal where you buy a grab n’ go bowl, and then you’ll get a second grab n’ go bowl for free! How cool is that? They also have locations at the Ideal Market (off Alpine Ave), at Whole Foods (off Broadway), and even a location on the hill (off Broadway). All prizes will be redeemed at the hill location. Good luck, everyone! And remember to share this post with your friends- I’m sure they want a free rush bowl just as much as you do!